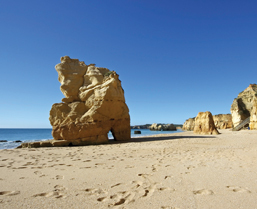 Portugal covers a vast range of stunning landscapes, from the rolling plains of the Algarve or Alentejo, to the dramatic hills and valleys of the Douro, where the grapes are grown for port wine. This is one of the warmest countries in Europe, with hot summers and fairly mild winters, though Portugal is on the Atlantic Ocean. 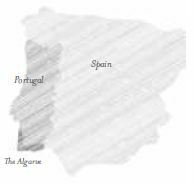 The country is split by the Tagus River, which separates the plateaus and mountains of the north from the gentle plains of the south, where the climate is more temperate. 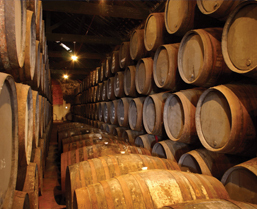 The main cities are Lisbon, which is the capital, and Porto, which is famous for its wine. Lisbon has a busy and engaging historic centre which offers much in terms of shopping, entertainment, restaurants and heritage sights, including the renowned Jeronimos Monastery and the Tower of Belem, which are a short ride away. The magical town of Sintra is another attraction, with its magical palace and romantic gardens. Porto is a must for its unique mix of British and Portuguese history, encapsulated in the names of the great port houses that line the river’s edge.